Неофициальная сборка сырого эмулятора консоли Atari Jaguar, имеет множество багов. Представлен в качестве технического интереса. 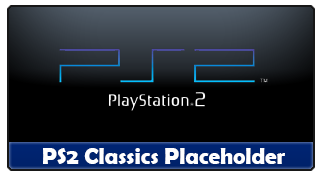 Небольшая утилита для PS3 под названием PS2 Classics Placeholder второй ревизии. Создает иконку в XMB меню для запуска конвертированных PS2 игр на PS3 без обратной совместимости через программный эмулятор. - Added information text display for selected options. - Added ROMs path directory browser. - Added Input Preset CFG file browser. - Added confirmation dialog when exiting FB Alpha RL. - Added feature to display Missing Games. - Added Game List Cache feature to avoid having to rescan ROMs every time FB Alpha RL is launched. - Added option to use alternate key combo to access RetroArch core menu, Main Menu(SELECT + TRIANGLE) and In-Game Menu (SELECT + SQUARE). - Added Custom System Filter (go to options and select the systems to filter in that category). 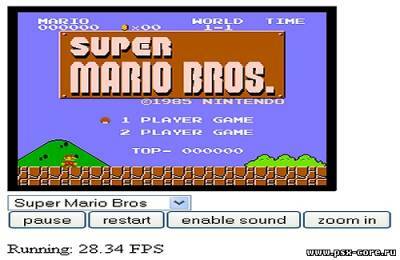 - Added support for 1080p / 720p / 480p display modes (all tested). - Added Game Preview display feature (hover a game to see its preview). - Added new Options Menu. - Added module to save / read settings to "FBA_RL.ini". - Added Option to configure 12 custom directories to scan for ROMs, you decide where you want FB Alpha RL to look for ROMs . - Added Option to set / change Input presets for all systems, you just need to do this once. - Added Option to Automatically Create basic Input preset configurations for all supported systems. - Added Option to enable / disable Auto Aspect Ratio selection on game launch. - Added Game System Filter (Press L1 / R1 to toggle game system filters). - Added ROM(s) re-scanning module (Press [START] to re-scan ROM(s)). - Rewrote FB Alpha RL to make better use of PSGL, now it supports a better GUI based on texture rendering (Thanks to Squarepusher/Twinaphex for the tips). - FB Alpha RL will check for important directories needed by RetroArch on launch, and will create them as needed. If you have the official RetroArch installed and it have missing directories as well for some reason, they will be created to make sure everything work fine. - Incremented number of displayed games. - Added quick list navigation by pressing L2 / R2. - Added Analog Stick support to navigate lists. - Added Main menu with various useful items. - Added ZIP Info feature (press [ ] to view ZIP info). - Updated FB Alpha (libretro) core. - (FBA core) Fixed graphic problems in CPS-1 driver. 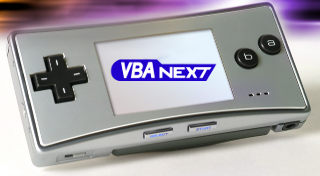 - (FBA core) Fixed Diagnostic Menu Lock-up in some games. 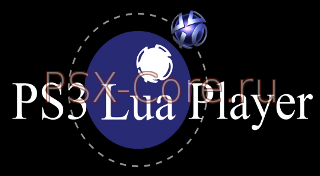 - Added Screenshot feature (press and look in Photo XMB column). - Improved application core overall and fixed some bugs. 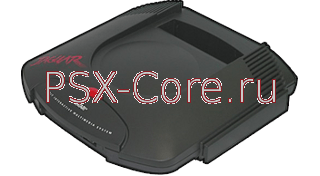 - FB Alpha RL will not process WIP drivers from now on until compatibility is better(Megadrive, PCE, SNES). Разработчик pete_uk скомпилировал и переподписал известный эмулятор DOS под кастомные прошивки 4.хх. Теперь вы в режиме DOS. (Войдите в папку и вы увидите свои скопированные игры.) Поддерживаются USB мышь и клавиатура. - Added support for Backyard Baseball 2003. - Added support for Blue Force. - Added support for Darby the Dragon. - Added support for Dreamweb. - Added support for Geisha. - Added support for Gregory and the Hot Air Balloon. - Added support for Magic Tales: Liam Finds a Story. - Added support for Sleeping Cub's Test of Courage. - Added support for Soltys. - Added support for The Princess and the Crab. ports take advantage of this. launcher in order to get the custom options tab. - Improved predictive dialog look. Эмулятор Gameboy Advance ревизии 1.03 для PS3. Cпециальная версия NES эмулятора, которая работает через веб-браузер, а соответственно в нее можно играть как на кастомных так и на официальных прошивках. Программы для запуска PS3 игр и управления файлами на различных носителях. Программы для просмотра медиафайлов на PS3. Эмуляторы старых игровых консолей на PS3.